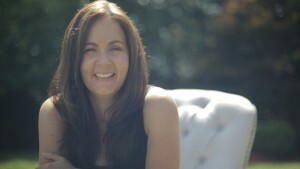 Folk singer-songwriter, Lori McKenna is no stranger to the music spotlight. Along with her 8 solo records, she has also contributed to a number of other musicians albums. 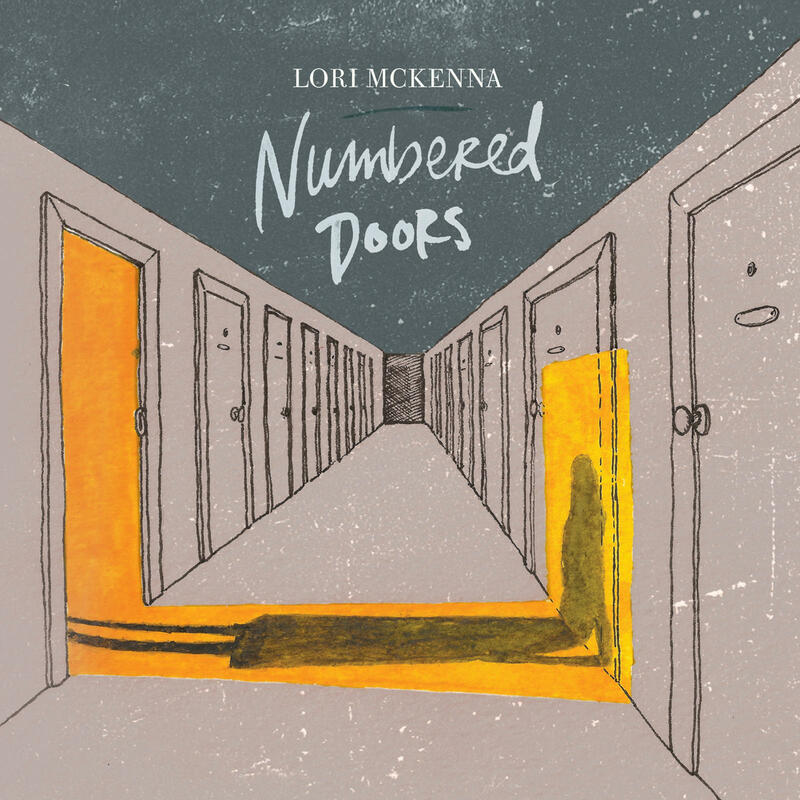 Learn all about some of those experiences as well as more about her latest release, Numbered Doors. You grew up in quite a musical household. Can you describe what life was like for you growing up? I’m the youngest of 6 and was pretty much raised by my siblings and my dad (my mother passed away when I was in 1st grade). My family is amazing. I am blessed to have them. I recently played the Opry at the Ryman and all but my oldest brother flew in – he had an excuse as his 6th grandchild was born that day. We grew up cooking dinner and playing piano singing songs together. I always say it was James Taylor and Jesus on my street. Can you remember the moment that you decided you wanted to be a performer? I don’t think I ever decided to be a performer – I wanted to have my songs heard and that seemed to be the best way to get that done – so I started playing open mics around the Boston area (we have a great live local music scene here). Once I started I just kept going one step at a time! What was it like becoming a professional musician with three children already? Were you ever worried if you would have time for it all? I used to write songs in my boys room while they were falling asleep. Poor kids – thinking back now I don’t know how they didn’t beg me to just put a cassette tape in the boom box and leave them alone. When you have a craft or profession that you can do almost anywhere – it makes carrying through at lot less challenging. Whenever I had a show (when the kids were little) I just got a babysitter or my husband stayed home (which still happens from time to time). Now our oldest is 25 and youngest is 10 so the big kids help a ton with the little kids – that’s how I was raised – so I makes perfect sense to me. In 2005, Faith Hill recorded covers of four of your songs – three of which (including the title track) appeared on Hill’s 2005 release Fireflies, the fourth as an exclusive to the iTunes Store. What was that experience like for you? Were you completely flattered? Yes. I still am. Faith has been a champion of mine from the moment I met her (even before). They both have (Tim as well). I still send them both songs and see them whenever I can. They are a huge inspiration to me as artists and people – and parents. Faith is a woman’s woman. I think we all need people in our lives to look up to – to be amazed by – it inspires us and makes us reach higher than we might otherwise – she’s one of those women to me. I’m in awe of her. 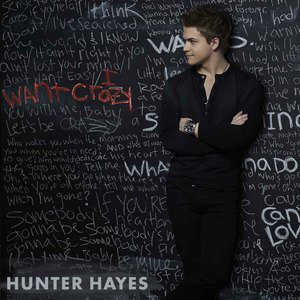 What was it like being a part of one of last year’s biggest hits-Hunter Hays’ “I Want Crazy”? Did you know when you were writing it with him that it would become such a smash? I knew that I loved the song – and that we had a blast writing it. The work tape is so funny because I’m cheerleading in the background – talking about making “I Want Crazy” t-shirts (being a goof basically). I love and respect both Hunter and Troy Verges. They are both amazing writers and of course wrote “Wanted” together – so I knew I was in a good room from the start. We had no idea is was going to be the next single until after they cut it and Hunter surprised Troy and I and played it for us. You’ve worked with Mandy Moore in the past on a few of her albums. Can you talk about that relationship with her? I got a call from her manager before her “Wild Hope” record – she came to Boston and we wrote a few songs. And I got to be there for a while in the studio when she tracked that record. She’s incredible – she has more patience and commitment to a song than anyone I’ve worked with. She’s a dedicated writer and makes sure every single syllable is exactly as she hears it. She’s also a WONDERFUL person!! When she went to make “Amanda Leigh” we wrote a bunch more and she worked with Mike Viola (who I grew up right down the road from – small world). I’m a big fan of Mandy’s – she’s a light in every room she walks. Well, you have really worked with a ton of incredible musicians! Is there anyone that really stands out for you? Who has really left a lasting impression? I’ve been very lucky to work with talented and NICE people. Little Big Town is an example of 4 people who have certainly made an impression on me. They are maybe the sweetest!! I’ve never been around a band – who champions one another as much as they do. Writing with them is a completely unique experience because they write for the harmony of the song. They come at it from that side and it’s such a beautiful way to write. I’ve been lucky enough to be on stage with them a few times and it is almost a spiritual experience when all 4 of those voices gets in your chest. How have you grown as a musician since your first studio album, Paper Wings And Halo to your most recent release, Numbered Doors? As an artist or a writer – we are blessed by the chance to grow! I don’t think there’s any way we can learn everything about our craft – there’s no ceiling – and the learning and growing is the best part if it all when you think about it. I honestly can’t listen to my early records – my voice is so different now. I still have to remind myself not to over-sing or I have to make sure I pronounce words correctly (God Bless my Boston accent). But to me – that’s one of the biggest blessing in all this – we get to grow – and I just want to keep growing and getting better. I just want to write good songs. Can you describe the process of making Numbered Doors with your co-producer, Mark Erelli? Mark is a big part of any growth I have had as a player or singer in last 6 or 7 years. He’s an inspiration. I always tease him about being an over-achiever and he never teases me about being the opposite (ha!). Mark listened to about 70 new songs before we made Massachusetts – he is a dedicated dude. And he knows my music usually better than I do. We went into the studio to record 5 songs and ended up with 10. The only reason that happened is because he is so good. When it comes to his production side – Mark serves the song. And he gets it. He always GETS it. What are some songs from this album that you are most proud of? I’m proud of them all in different ways. “The Time I’ve Wasted” I am proud of because I wrote it after a LONG day with 2 of my dearest friends (Liz Rose and Jesse Walker) and we were able to keep it simple and grand lyrically (that’s Liz Rose for you!). 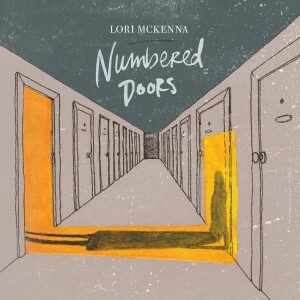 “Numbered Doors” I’m proud of because it is so different for me. “All A Women Wants” I am particularly proud of because it says what I wanted it to say and I didn’t have to sacrifice something musically to get my point across. Out of all your music, what are your favorite songs to perform? That’s a tough question because it always changes. We always want to sing the last songs we’ve written. To be quite honest, the songs I like to perform the most are the ones I think I can perform the best. Other songs I just want to make a reaction with. Every night is different and the audience really has quite a big say in the feel of the room and how the songs come out. Thus far, what’s a favorite memory or something quirky that’s taken place with you and your band (in-studio, onstage, or elsewhere)? Oh there’s always something quirky – like I said above – every night is different. I’ve been yelled at once or twice. Some nights I’ve been less talkative and then someone will yell “hey Lori – how are your kids” then other nights I feel like I talk about my kids all night and they are probably thinking “shut-up”. We’ve had a ton of nights when I will walk on stage with Mark Erelli and I hear a gasp from the audience and a “that’s Mark Erelli” – from folks who don’t realize he will be there – that’s always fun. Sometimes on a night like that I have to make Mark play one of his songs – just to sit back and watch! Well my kids are into pop and 80’s stuff right now – and we listen to country radio quite a bit. The newest Ryan Adams record is my favorite thing in a long time – and it’s those things I usually go back to. When we write songs we ask “What would Tom Petty do” and it’s a fair question – he always seems to get everything right. I have a lot of heroes that I wouldn’t want to work with because I would be terribly afraid and they would end up hating me (James Taylor, Tom Petty). I still am afraid of some of my friends (Walt Wilkins, Tony Lane) when I write with them. I had the amazing opportunity to write with Burt Bacharach – we wrote a few songs and I stood in awe of all the music he knows – he really may be the most musical person I’ve ever met. He was a complete sweetheart! But to be fair and answer your question – I would say Bruce Springsteen. I think he has maintained an amazing ability to write songs that we all can identify with. This makes sense usually in the beginning of an artists journey – because they start out just like us – but he has maintained that spirit and feeling even with all the fame and money that comes along. He still seems like a regular guy – even though we know he’s a genius – and maybe he’s not a regular guy – but he still writes songs that my plumber-husband can identify with. I always say that I know I can’t make you dance – so I’m going to try and make you feel something. That’s what a song is for – to make you feel something.